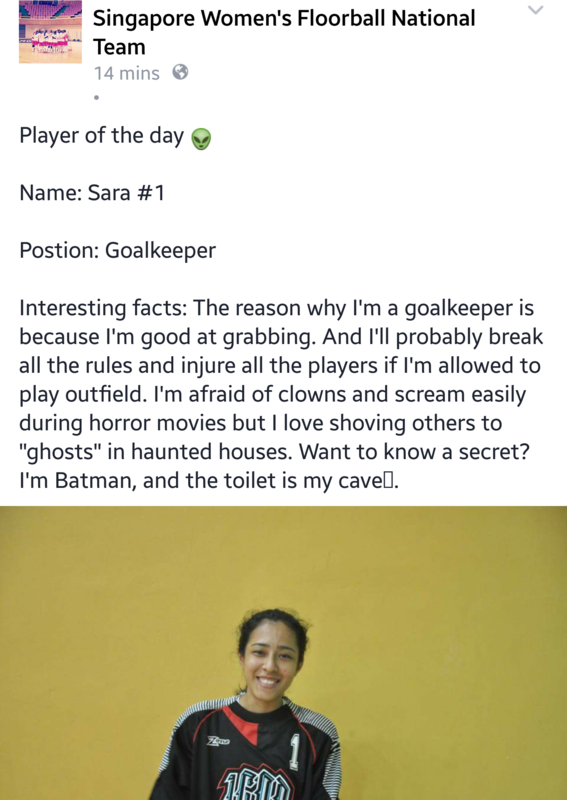 Our national keeper Sara is player of the day! Check out some fun facts of her via the Singapore Women’s National Floorball Team; facebook page by clicking here! Next Next post: Off to the 2015 World Floorball Championships!